...the famous poem by Clement Clarke Moore. Ever wonder about the mystery and excitement? 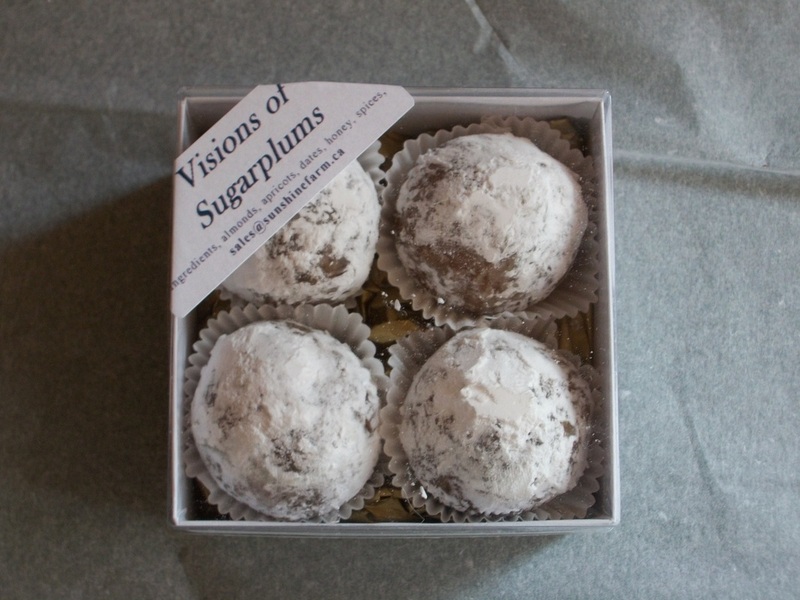 Sugarplums have an interesting history. We are proud to follow a family recipe which has earned us multiple compliments and repeat customers as far away as Denmark, Germany, Great Britain, France and Japan. Our Sugarplums are DAIRY-FREE, EGG-FREE, PRESERVATIVE FREE and GLUTEN-FREE, except for the icing sugar. The only sugar in this product is the icing sugar the Sugarplums are rolled in. Icing sugar may contain gluten. 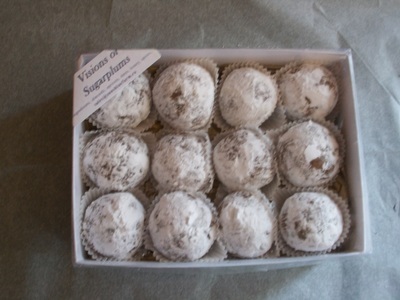 We offer Sugarplums without the icing sugar coating upon request. To help us plan ahead it is best to place your orders as early as November 1st. Please specify all order details and when and where you wish to have your order shipped. As a service, we offer to include a seasonal card in your name with the shipment. We ship by Canada Post, to obtain a quote, please provide your postal or zip code. Overseas shipping by air is limited to 2kg if you wish your shipping cost not to exceed $60. Please let us know if you prefer a response by email or phone, add your contact info and best time to reach you.